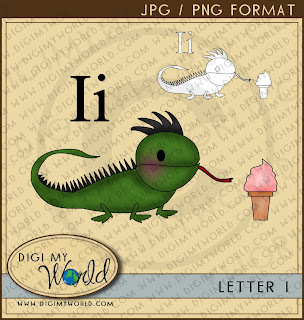 Freebie Friday - Letter L and a wonderful Witch for Halloween!! Here we go, for this week...Halloween is my favorite time of year and so I made a few things to get started.... Wendy is an adorable witch in Flight, with her broom and kitty by her side in the moonlight sky! But perhaps your tastes goes more toward the monsters of halloween (although there is nothing scary about these two!) Frankie is a newlywed and just adores his new bride! We also got some candy and caramel apples this week too... Kawaii style of course! and now onto the Freebie of the week! L is for the Lion that loves Lollipops! 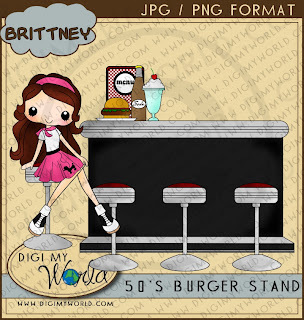 Pop on over to the site to grab the freebie clipart/digital stamp or cutting file! Congrats to Kathy D the winner of our School Spirit Challenge! Link your finished project below using the INLINKZ (if you do not have a blog, you can STILL enter! Simply enter the url to the image of your finished project, ie:facebook, twitter OR email your image to me and we will list it for you! Winners will be announced on Oct 12 at the start of the next blog challenge. 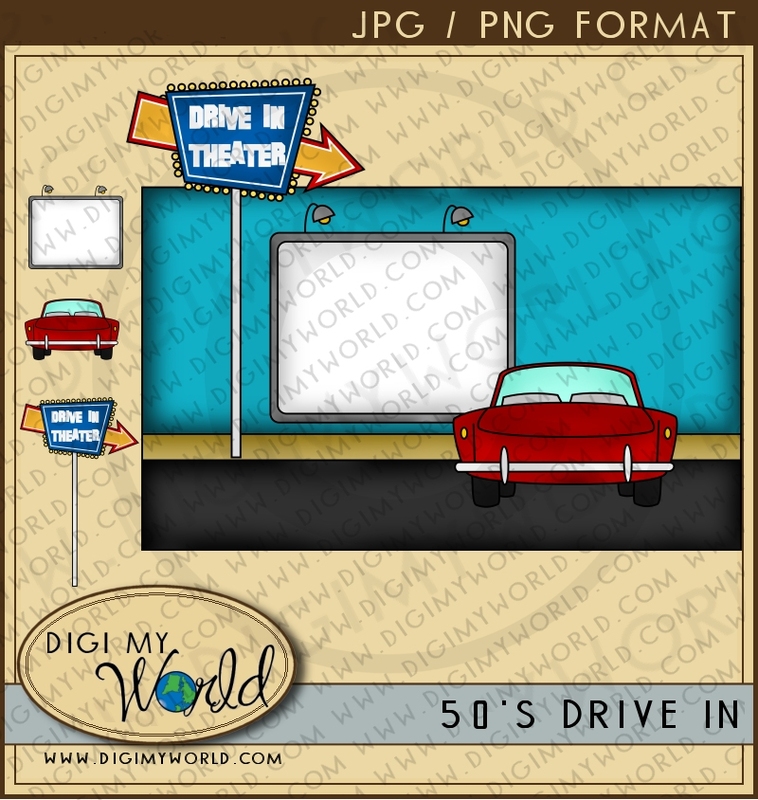 For this particular challenge, Time Warp, you may use ANY Digi My World image that you feel you can relate to any time era earlier then the one we are currently living in! The skys the limit!! 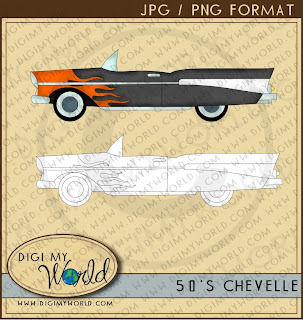 We have TONS of really great retro Digital stamps at www.digimyworld.com, as low as starting at $1.00 for a Chevelle 50's car! Now for some inspiration from our DT and our Guest DT! 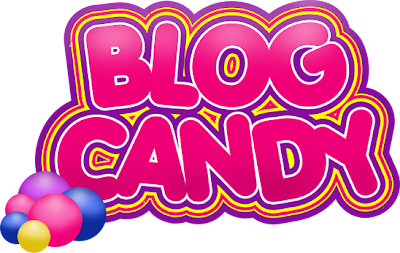 Congratulations to SrappyKSue for winning our last weeks BLOG CANDY! 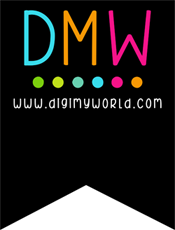 Please email me at sales@digimyworld.com to get info on how to claim your prize!! My sister is a HUGE Elvis fan, so I made these just for her.... Hope I did your man justice Cathy! We also released today the 70's pack... there are a few of them, or you can get the combo pack to save some money!! Here is this weeks Freebie... K is for Karate Kitty!! More and More Candy for you!! Congratulations to Scrap a la Jen for winning our last weeks BLOG CANDY! Please email me at sales@digimyworld.com to get info on how to claim your prize!! 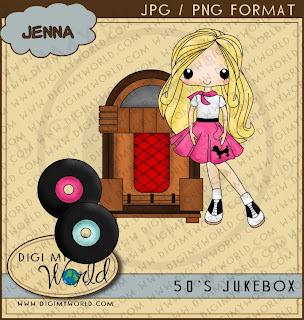 Our Freebie this week is the adorable JACK in the BOX... as clipart, digital stamp and even a cutting file!! Congrats to OLGA the winner of our first DMW Blog Challenge! Winners will be announced on Sept 28 at the start of the next blog challenge. 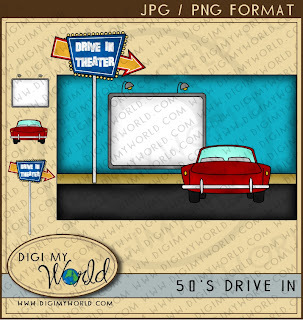 Below are 2 images from our Guest DT for this challenge, Jennifer! New week of Candy! Come and Play!! Congratulations to BECKY for winning our last weeks BLOG CANDY! 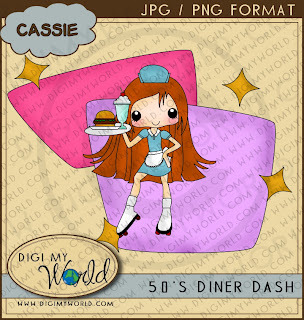 Please email me at sales@digimyworld.com to get info on how to claim your prize!! I took the tween girls and sent them in a time machine for the next few weeks. This week they travel back to the 50s....next week its the 60s and the following week the 70's. The fifties, to me, was a more carefree time. Hanging with friends was quite different then it is with kids these days. I was not born in or around the fifties, but I have always loved the style of the clothing. The tiny waists, the saddle shoes, the no pocket front pants... lettermen jackets... poodle skirts, I could go on and on! 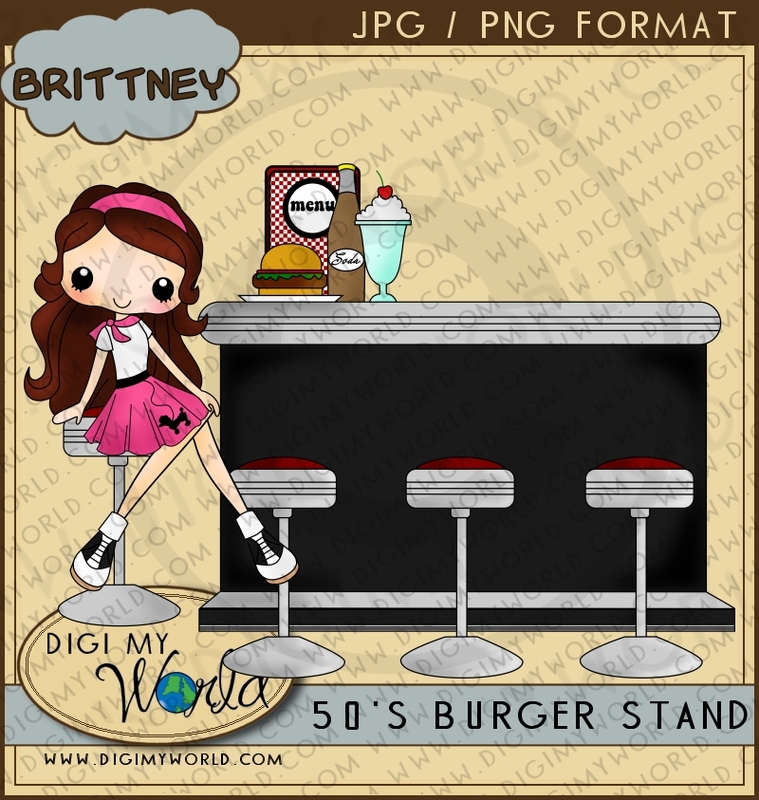 I sent Brittney, Jenna, Cassidy and Emma back in time... to the Burger Stand... Hope you like them... they are all available as individual clipart and digital stamps...or you can buy the combo pack and save. 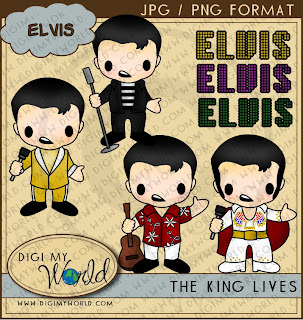 And now for our Freebie Friday item! 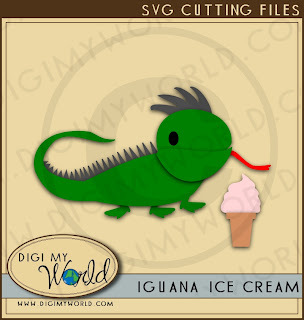 This week is LETTER I..and that is for Iguana's that love ice cream of course! 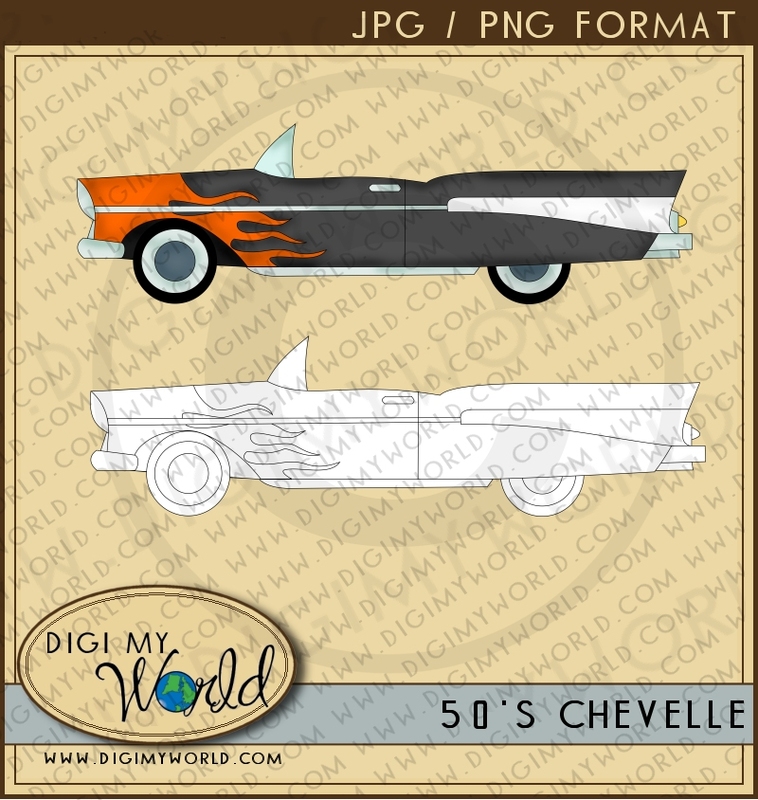 Free for the week, both clipart, digital stamp and cutting file! Congratulations to MARGO B for winning our last weeks BLOG CANDY! 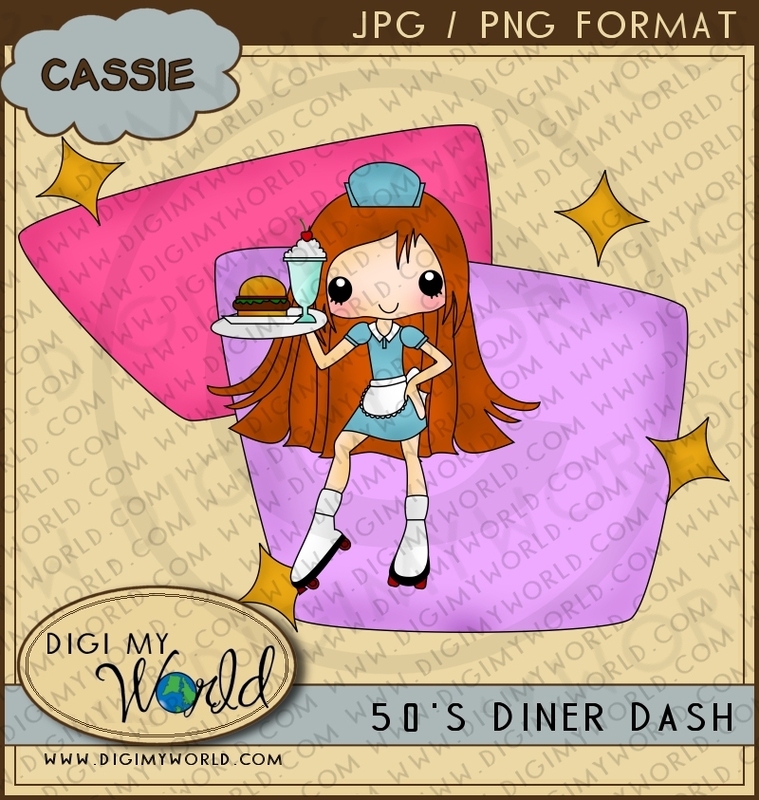 Please email me at sale@digimyworld.com to get info on how to claim your prize!! That's right... 15 more followers (taking us up to 75 in total) will earn you all a new Freebie -- no clue yet what it will be --- why don't you throw me some suggestions for a freebie for Followers once we get our 75? Leave a comment and tell me what you want!! This one will work the same way as our 50 followers... your guys will get it FREE...but it will be for sale for all others 2 weeks later!! LEAVE A COMMENT... would love to see what you all want!! Cheerleaders and School Days Release plus a freebie for Friday!! Our newest releases this week are all school related... School Days (now available on the site) and Jessica the Cheerleader! And here is our latest Freebie for Friday... a Hippo with a Hotdog! and here is Bonnie's wonderful layout using the freebie for the week!